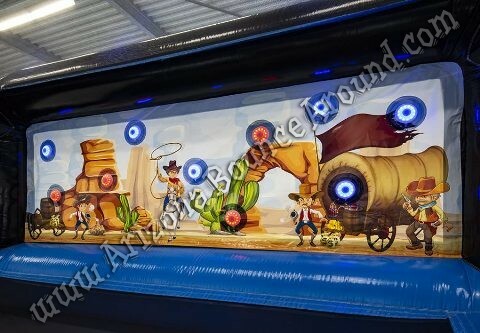 Our 4 player shooting gallery features battery-powered rapid fire guns shooting small Nerf foam balls. 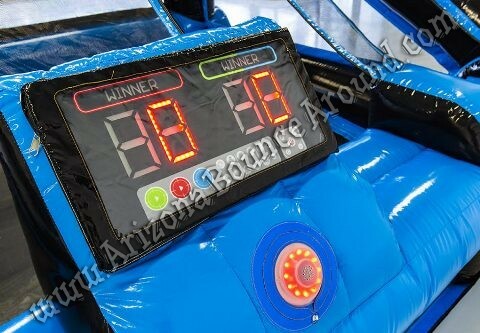 The targets light up randomly in red or green to distinguish the teams and have a large scoreboard in the center. 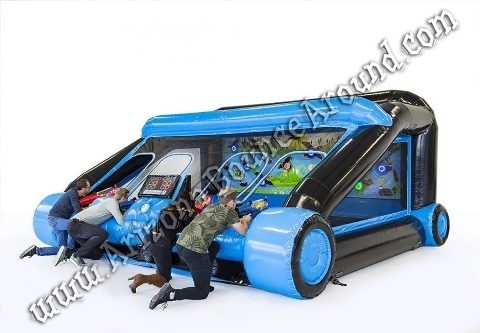 This game is very fun to play and can be enjoyed by kids, teens or adults. You can play for fun or as a team building or competition. 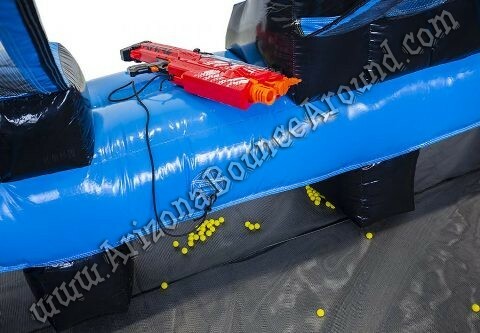 This game is very portable and can be set up indoors or out so rent a shooting gallery for your next party or event in Phoenix or Denver. We can even brand the backdrop with your company message or logos.